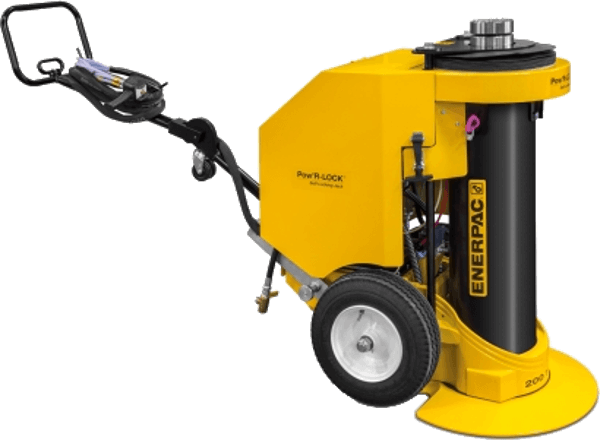 Enerpac hydraulic jacks are portable lifting systems for lifting heavy loads. The Pow’R-LOCK is a self-locking jack that performs automatic mechanical locking during lifting, lowering and holding. The Pow’R-RISER is capable of lifting and lowering heavy loads. For safe mechanical cribbing of a lifted load, accessory locking U-Rings can be placed around an extended piston. Contact Pickford today for assistance with your project. 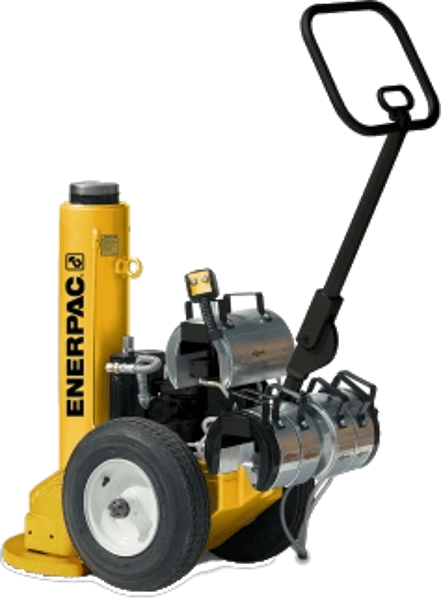 Enerpac PL20014ASA, 200 Ton, 14.0 in stroke, Pow'R-LOCK self-locking portable lifting jack. Simple 2-button pendant allows operation of raise and lower functions from up to 20 feet away. Enerpac PRAMA06014L, 60 Ton, 14 in stroke, pneumatic POW'R-RISER lifting jack. 4-inch ground clearance for transport over rail and rough terrain. Allows lifting at all heights without blocking. Pickford supplies Enerpac hydraulic jacks to all of Western Canada including Manitoba, Saskatchewan, Alberta, and British Columbia from our 40,000 sq.ft. Edmonton warehouse.